Create/approve Permits at the work site. View permits on Google Maps & Plot Plans. View current jobs on the Permit Board. 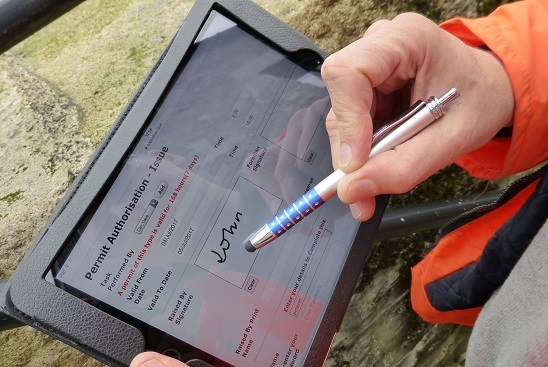 Pisys Permit to Work System ('PTW') is a web based system for creating and managing Permits to Work across any type of business or work site, for all types of hazardous work, such as working at height, confined space entry, hot and cold work, excavations. The system can also remind users of the need for isolations. Pisys PTW is fully customisable and supports compliance with HSE/ISO/OHSAS Standards. It can be adapted to support your existing Control of Work or HSE Management System and is compatible with HSE Guidance on Electronic Permit to Work Systems, as per HSG250. Pisys Permit to Work is part of our family of HSE products, which also includes our Action Tracking and Incident Management Software.